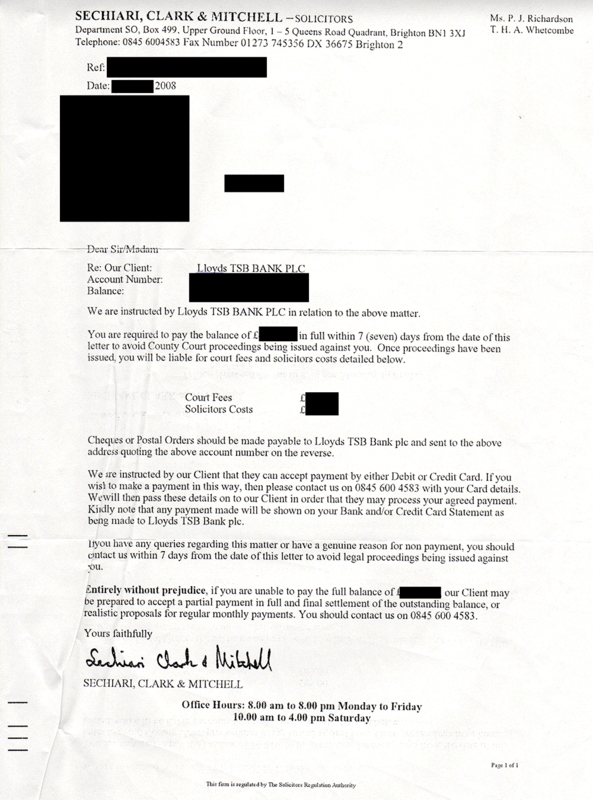 Halifax, Lloyds TSB and NatWest have been exposed as being as bad as Wonga when it comes to sending customers misleading debt demands purporting to be from external solicitors or debt collection firms. 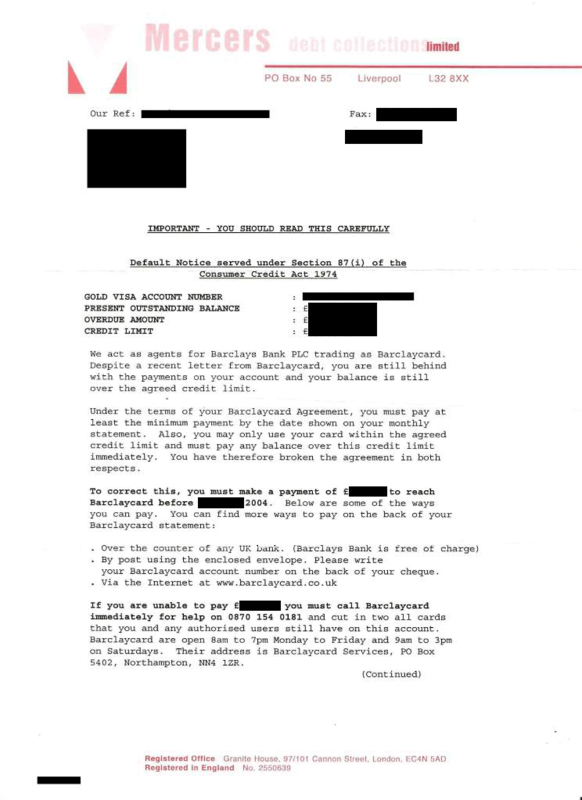 MoneySavingExpert.com has compiled a "fake" letter ranking based on the letters we've received after we asked MoneySavers for copies of debt demands that we believe mislead customers into thinking they are from a third party (see the Send us your 'fake lawyer' debt demands MSE News story). 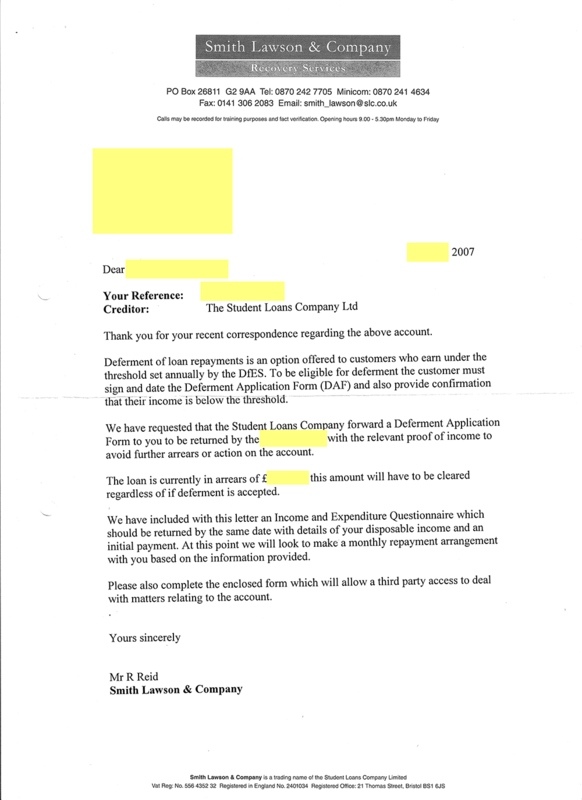 It follows last month's news that thousands of Wonga customers were due compensation after the payday lender pressured 45,000 customers into repaying loans by sending letters from non-existent law firms chasing debt. We've sent all the letters we received that were misleading to the relevant regulators. We're also calling for explicit rules to be put in place to prevent firms from sending correspondence that purports to be from an external company when it's actually from an in-house team or another outfit owned by the creditor. MoneySavingExpert.com creator Martin Lewis says: "We all know Wonga is a company that has lived near the gutter, but it seems banks are using similar tactics. The Financial Conduct Authority needs to investigate this. 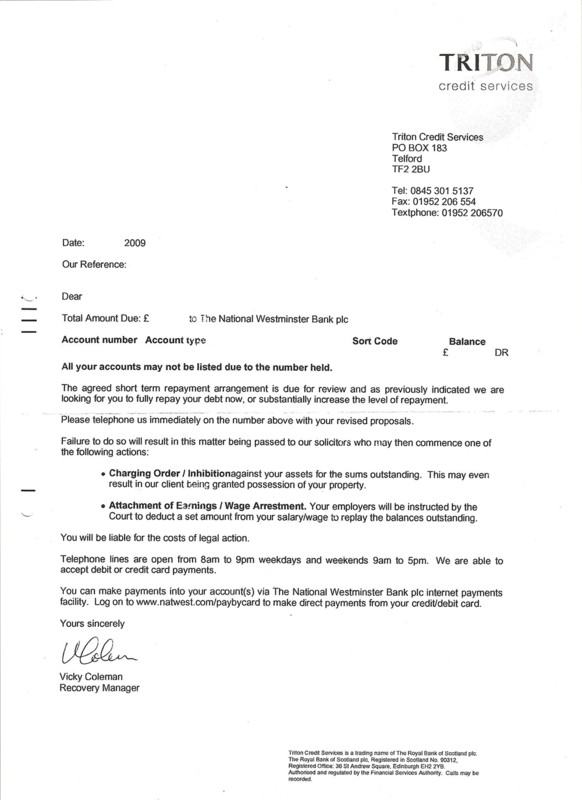 We'll also be sending the Npower letter we've received to the energy regulator. "It's about time there should be specific guidance on what firms can say in their correspondence. Rules should be put in place to prohibit companies from purporting to be an external firm when they're either in-house or owned by the creditor." Whether or not they explicitly stated or strongly suggested that the debt collector was a separate entity. Whether or not the firm involved will stop using the letters. Whether they charged customers for the privilege of receiving them. We found Halifax and Lloyds TSB, which has since split into two separate banks, to be the worst offenders alongside NatWest, Npower and Wonga. 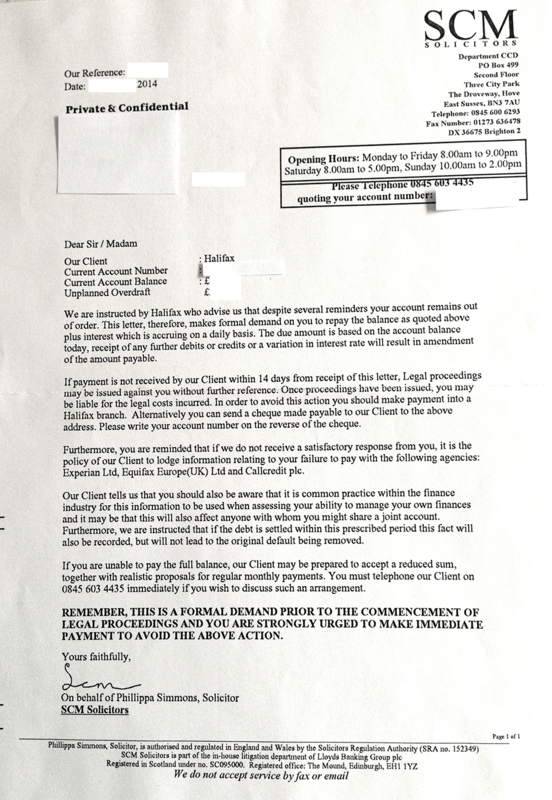 The fact that so many banks have been caught pressurising customers into paying debt by sending letters implying to be from separate firms is another blow for an industry where trust is already low. Of the companies we looked into, only big six energy firm Npower says it will continue using these letters. It's already being monitored by regulator Ofgem after sending ex-customers huge bills months after they'd left the firm. Here's a full list of the names used in the letters we've included in the table and graph above. If you click on the the firm, a copy of the letter will pop up. 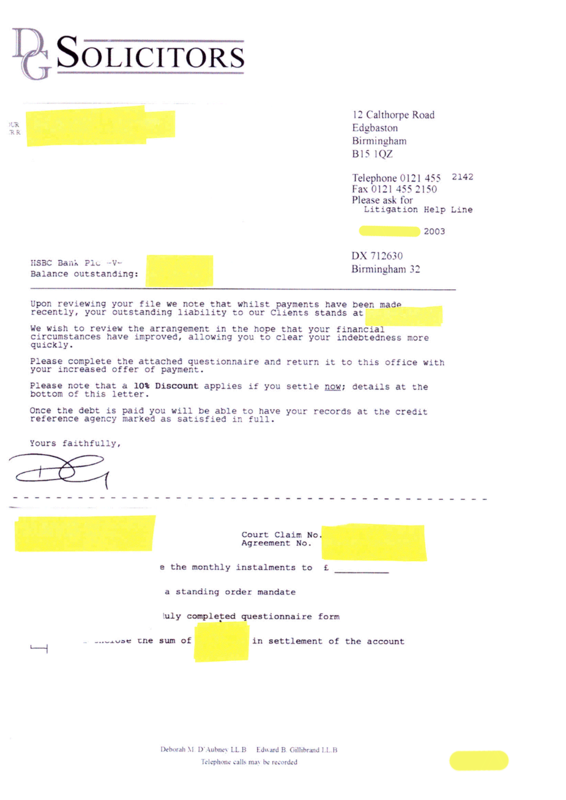 Some firms also sent letters under other aliases. Wonga has admitted also using Chainey, D'Amato & Shannon. 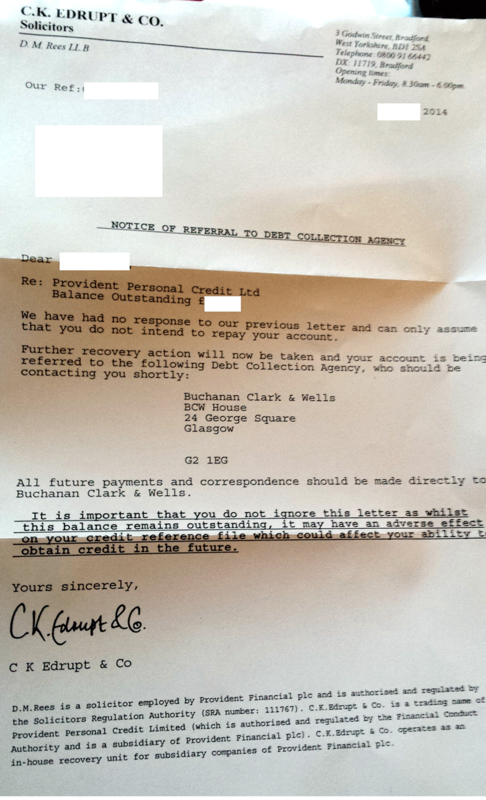 Barclaycard: Mercers Debt Collection Ltd.
Lloyds TSB: Sechiari, Clark & Mitchell Solicitors. Provident: CK Edrupt & Co Solicitors. SLC: Smith Lawson and Company Recovery Services. 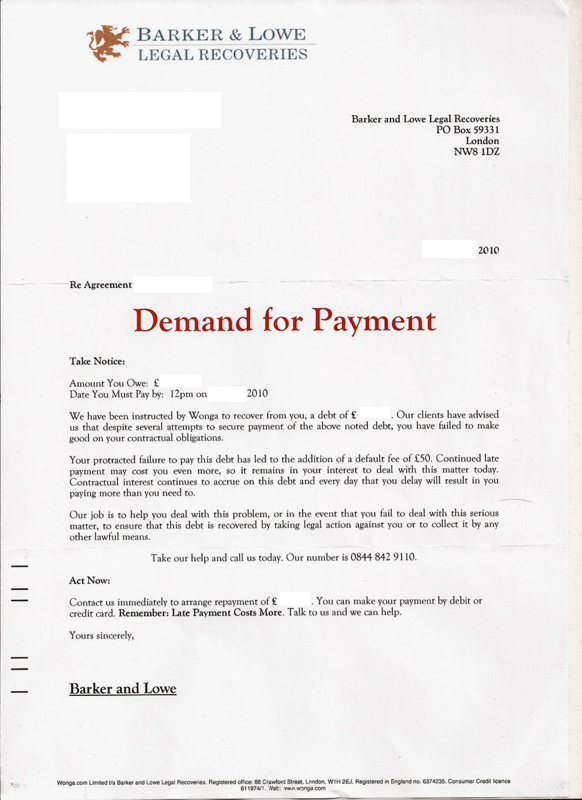 Wonga: Barker & Lowe Legal Recoveries. But it's not just the firms detailed above who've been caught red-handed sending customers letters purporting to be from external firms. 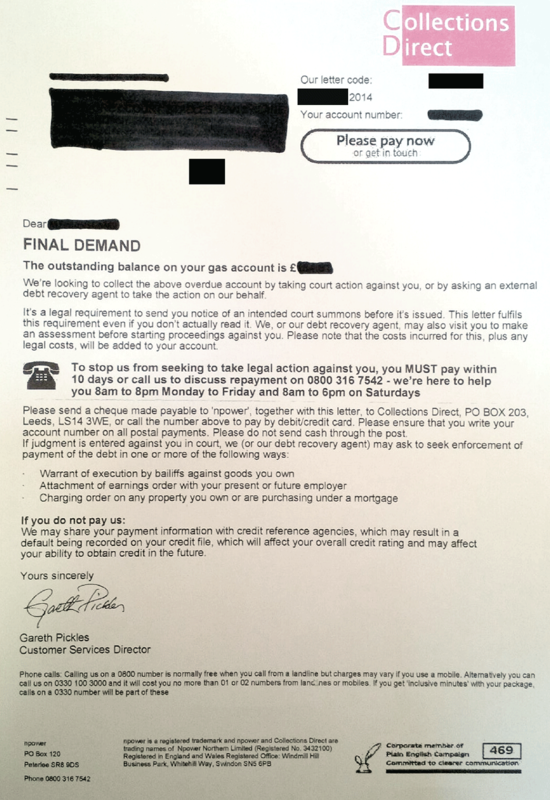 Amigo Loans, Anglian Water and Scottish Power have all admitted to MoneySavingExpert.com that they've sent similar letters in the past, but they all say they no longer use these. They're not included in our table as we've been unable to source copies of the letters. We spoke to the Financial Conduct Authority (FCA), Ofgem and Ofwat – the three bodies that regulate the industries we've seen using these misleading debt demands. The general consensus is that correspondence sent to customers must not be misleading. It also has to be fair. But none of the regulators have explicit rules to say firms can't send customers debt demands purporting to be from external companies, but which have actually been sent from in-house outfits. The FCA is calling for anyone with evidence of these practices to send it in. Ofgem is asking energy suppliers to explain how they use alternative branding to communicate with customers in debt. It says it will assess the responses and decide if action needs to be taken. Ofwat says it has asked companies to review the "appropriateness of their debt collection practices" and is awaiting their responses. Additional reporting by Paloma Kubiak and Aileen Lees.